In January, beautiful, warm, blue skied days give way to chilly crisp nights in Southern California. One may think that this is not much of a winter, but it is enough to kindle the appetite for warm filling meals. 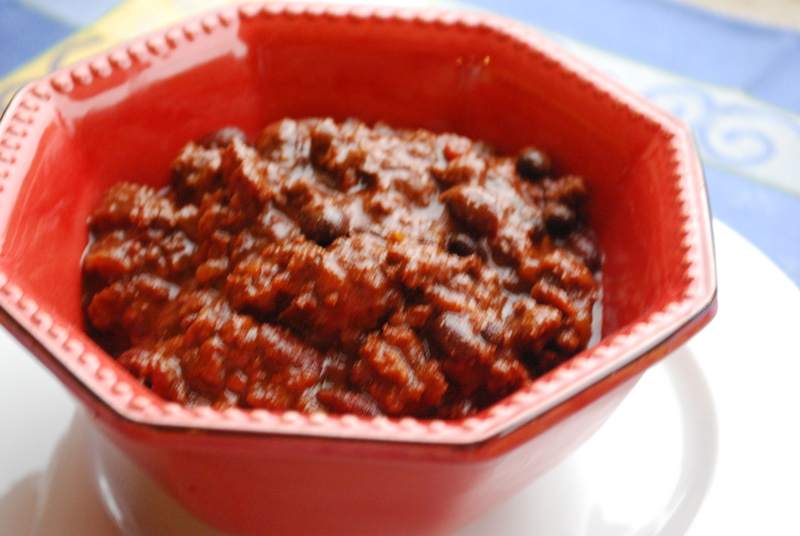 Turkey chili is not only rib sticking, spicy, and delicious, but is also a little lower in fat and calories. It is a perfect fit for my January mood, wanting to make up for all of the Holiday season’s indulgences.